as it turns out, i love valentine’s day. misha & i give each other little presents a lot (little things, just poems or a small round rock), but today we give each other a little present on the same day, and i like that. it feels nice to know that loving is emphasized today, even if it’s all hallmark-ized and hollywood-ized–still, people are remembering to act in the name of love today. i believe in that. i love so many people, my mom & dad & sister, & my grandpa with his broken shoulder & the rest of my family, & my friends in the east & some people out west & various chickens & cats around america. loving people is what i like to do. 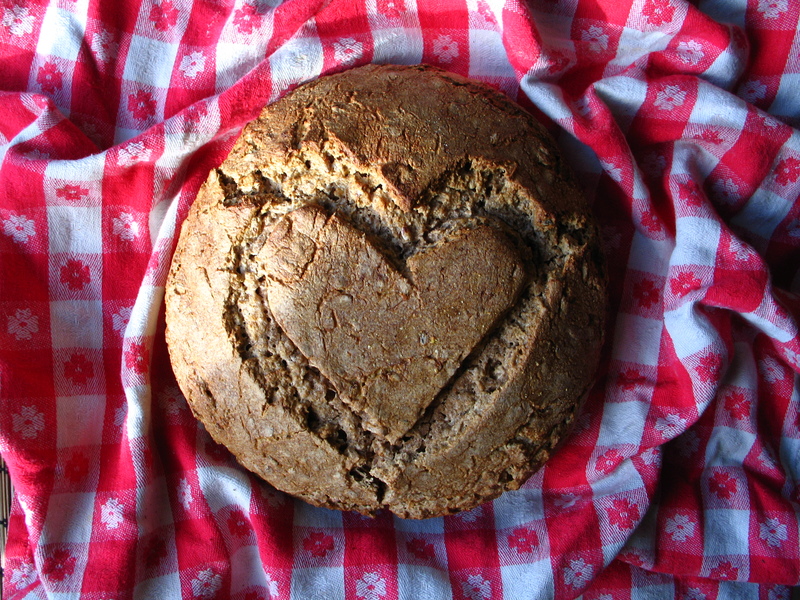 valentine’s day has gotten dumbed down a little–bad chocolates are dumb & so are teddy bears with hearts in their bellies, but a loaf of bread with a heart in it is not dumb it all. in fact, it is very savory & beautiful. & it slices like heaven. happy day to everyone i love. happy happy day. Previous Ack! Hurt back (mine). Next Some facet of my Saturday is in this photograph (Sally Mann). Happy Valentine’s Day to Luna “Luney” Katz the cat.